Hey readers! It's been a while, huh? 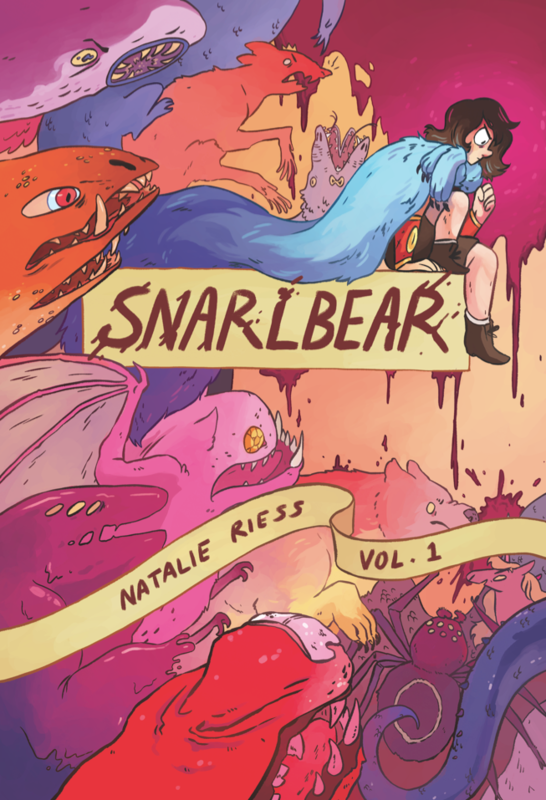 With a lot of help from Hiveworks, Snarlbear is finally going to be printed! We've separated it out into two 6"x9" volumes (I've posted the cover for volume 1 here to go with the announcement) that span all 10 chapters, plus some concept art extras. There's also some fun merch-type items (pins, postcards, etc). Click the link and check it out if you're interested! The comic will still be here to read online for free, whether or not the project funds. If you're just visiting the site for the first time now, or just wanna reread from the beginning, start here. Thanks everyone for reading and enjoying!